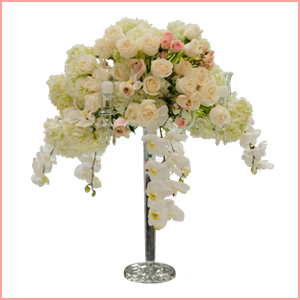 At Floral Works and Events, we pride ourselves on our custom design work. 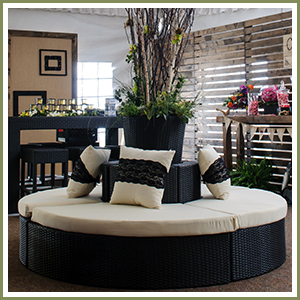 We can create arrangements and decor for any style or aesthetic — all you need to do is ask! Below is a sample of some of the services we offer. You can pick and choose the services you need, or let us handle them all! 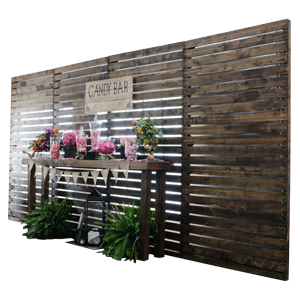 We work closely with Raphael’s Party Rentals, which means that not only do you have the Floral Works team working for you, but also the manpower and inventory of one of the largest event rental companies in San Diego. No idea is too big or too small! We have over 30 years worth of experience with floral design and a vast knowledge of seasonal flowers which can help keep you on budget! Please take a moment to peruse our look book and complete weddings for ideas of what is possible! Every element of your wedding is special, and the linens are no different. Choosing the right color and fabric can pull your decor together. 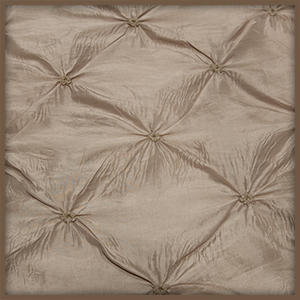 Choose from a wide range of signature linens from simple poly's to luxurious pintucks! Lighting is everything when it comes to setting the mood. Let us help you design your lighting from simple up-lights to dramatic color washes. Gobo's are always popular! 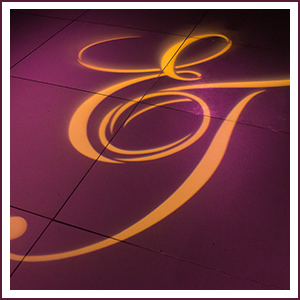 Want a custom Gobo design? We can help you with that too!